Everyone likes to play games to pass their free time and for entertainment. Games are very important in our life to fresh our mood and release our daily tensions. People like to play games on smartphones, computer or on gaming consoles. PlayStation is very popular among the youngsters. PlayStation provide high quality graphics and real like game play feeling. But on the other hand PlayStation games are very costly. So we prefer to play graphic card games for PC. Even we can use PlayStation emulator to play PS games on PC. In the same way we need emulator for android devices. With the help them we can easily play PlayStation games on Android. Android emulators provide interface to run games. It provides fast gaming speed and accurate sound synchronization. We can also save the state of game and load it later for playing. So to perform all these gaming task we need to choose best PSP emulator for android. In this article we are going to review some popular working PSP emulators for android which provides good graphics and support different games as well. List Of Best PSP Emulator For Android. 1. 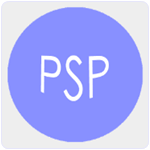 PPSSPP – PSP Emulator. 4. Sunshine Emulator For Android. 10. Enjoy Emulator for PSP. 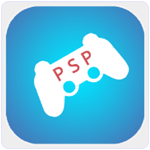 It is also a famous PSP emulator for android to PS games. The ePSXe has a rating of 4.4 on Google play store. It is designed for both android smartphones and tablets. It provide awesome simulation of PS remote. We can easily play PS games on android with high speed and full sound synchronization. We can also save and load the games. Approximately 1 million users have downloaded this app. PSP Emulator is another best option as PSP emulator for android. 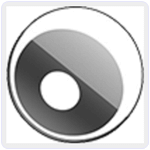 It is light weight android app with easy to use interface. This Android Emulator provide high speed game playing with accurate sound speed. It is compatible with all PS games. We can easily save and load the game state. It also support network game playing. It is compatible with Android 2.3 or higher version. Approximately 0.5 million user download this Emulator. 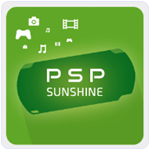 It is another famous Android Emulator for PSP games which is available on Google Play Store for free. It can run a huge amount of PSP games with fast speed and consume low. Power. It provide nice game control with graphics. Approximately save the state of game and also load the game later from the save sate. It is a light weight Android app which is compatible with Android 2.3 or higher version. Approximately 0.5 million user download this app. 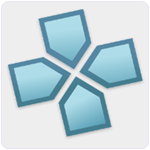 OxPSP Emulator is another high rated Android PSP emulator which has a rating of 4.1 on Google playstore. It provide better gaming graphic quality, speed and sound synchronization. 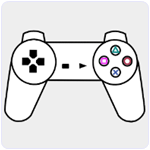 OxPSP Emulator provides better game control. All PlayStation games support their cheats. We can easily load the game or also save the state of game for playing later. Approximately 1 million users have downloaded this app. It is also a good choice for playing PSP games on android platform. It works well on all the smart phones and tablets. 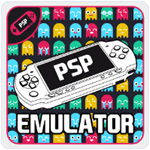 Emulator For PSP is a light weight android emulator which is compatible with Android 2.3 or higher version. We can easily play portable PS games. Download and place ISO and cso files on our SD card. It provide awesome game Compatibility and speed with accurate sound synchronization. Approximately 1 million user download this app. It is another good android PSP emulator. It provide fast game play speed. PSPe+ consumes less CPU power and save our battery. It can play a large collection of PS games.It also have a game state saving capability to save game state and load it later. Approximately 0.5 million users have downloaded this Emulator. 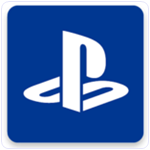 Play Station app is another popular PlayStation Emulator for Android phones. We can also view the other player achievements and levels using this App. Players can also communicate with other user in this App. We can also receive notification for games alerts, notifications and invitations from our friends. It require Android 4.0 or higher version. Approximately 50 thousand users have downloaded this app. It is an Android Emulator specially designed to play PS games on Android. It support all game cheats. Fun PSP Emulator provide best Game compatibility and easy to use controls. It also save our battery. We can also save the game state or load from that state later. It also provide automatic game save feature if exit the game accidentally. Approximately 50 thousand users have downloaded this app. It is another best PSP Emulator for Android phones to play PSP games. 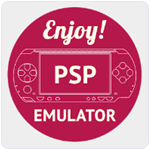 Enjoy Emulator for PSP is a light weight android app which is compatible with Android 2.3 or higher version. It provide HD graphics and easy to play controls. Enjoy Emulator for PSP can run a large number of PS games. Simply download and place the game ISO file on our SD card. Approximately 50 thousand user download this emulator. 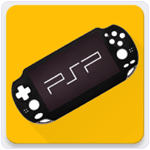 These are few best PSP emulator for android to play PlayStation based games easily. If you have any other best possible way then let us know in comments below and start a discussion.